Several memorial benches dedicated to people who have passed away have been spotted dumped on the Downs. Eastbourne Borough Council has admitted storing the wooden benches at Cornish Farm on the Downs but says they are old ones which were in need of repair and the donors no longer wished to pay for ongoing maintenance. The benches were spotted by Marcus Berrisford and a photo put on the Eastbourne nostalgia group I Grew Up In Eastbourne. 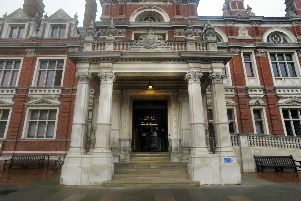 It prompted a flood of complaints from members accusing the council of being uncaring and disrespectful. But a spokesperson at the council said this morning the benches were all old, had fallen into a state of disrepair and needed to be moved away from their original site and from vandals. The spokeperson said, “Memorial benches are maintained by the council with the financial support of whoever donated the seat. “The old benches in the photograph need repairs, but donors have decided to no longer pay for their maintenance. “Rather than dispose of the benches the council recycles them, using spare parts in the repair of memorial benches still in use in Eastbourne. “The benches were previously stored at another location until they had to be moved due to vandalism. Earlier this summer Meads Conservative councillor Robert Smart raised the issue of neglected benches and criticised the authority for no planned maintenance of them. At the time a council spokesperson said it contacted those who commissioned the benches to pay up but if they declined, the benches were removed to allow space for new benches.